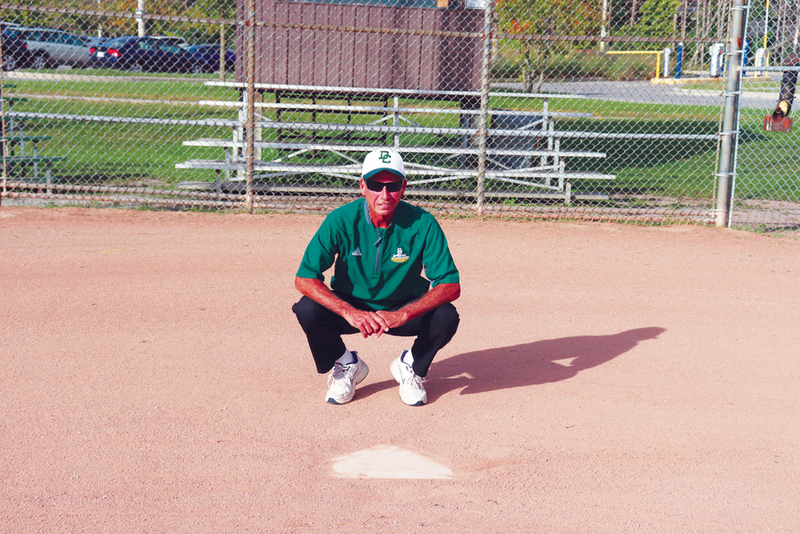 Jim Nemish has spent the last 30 years of his life as the coach of the women’s softball team at Durham College, and he now has more than 500 wins to his name. As he enters his 30th season, Nemish has led a storied career on the bench. Nemish is a coach who, when things don’t go his way on the field, makes sure that his voice is heard. He is not afraid to stand up for his players and to make sure that the calls go their way. However, he always goes out of his way to make sure his players feel comfortable and at home, especially if they’re living away from their family. Caliegh Coels, left fielder and co-captain of the Lords, cited a moment when she needed help bringing a couch she had just bought to her apartment. Melissa Semeniuk played for the Lords four or five years ago at third base. She says that playing for Nemish was interesting. “He’s a really good coach in the way that he likes to push his girls. We kind of had the big family dynamic when we played for him,” he says . Semeniuk says that Nemish isn’t always serious. “On the bus rides we’d do karaoke and sometimes he would stand up and do a little dance or something which kind of made the girls feel more like he’s a father figure at the same time. He does have a groovy side,” he says. Semeniuk says that she learned time management skills and how to adapt to life while playing for Nemish. “We would have a lot of things that would kind of just happen randomly and he would teach us how to just go right at it,” says Semeniuk. Essentially, Nemish taught her good life skills. Nemish himself says that getting 500 wins was special. He says that when he started 30 years ago, the idea of getting 500 wins was foreign to anyone as the seasons were so short. According to Coels and Semeniuk, Nemish is not afraid to have his voice heard. However, Nemish thinks that he’s mellowed out since he started. Nemish discussed his 30 years of coaching the Lords while also visiting the field in which he has spent so much of his time and energy. During his career, Nemish has managed to amass a 507-166 record, and a .753 winning percentage. Over his career, he has also managed to win an unheard of 16 straight OCAA medals between 1997 and 2012. Nemish’s teams also amassed a 56-game winning streak between 2002 and 2004. Nemish says that he can’t remember the exact number of OCAA championships that his teams have won. He says he’s told that he’s won 17 or 18. According to Coels and Semeniuk, Nemish pushes the players on the team to be disciplined in both their on field play, as well as their daily lives. “He pushes everybody, and I’ve literally also never worked so hard in my life,” says Coels of playing for Nemish. 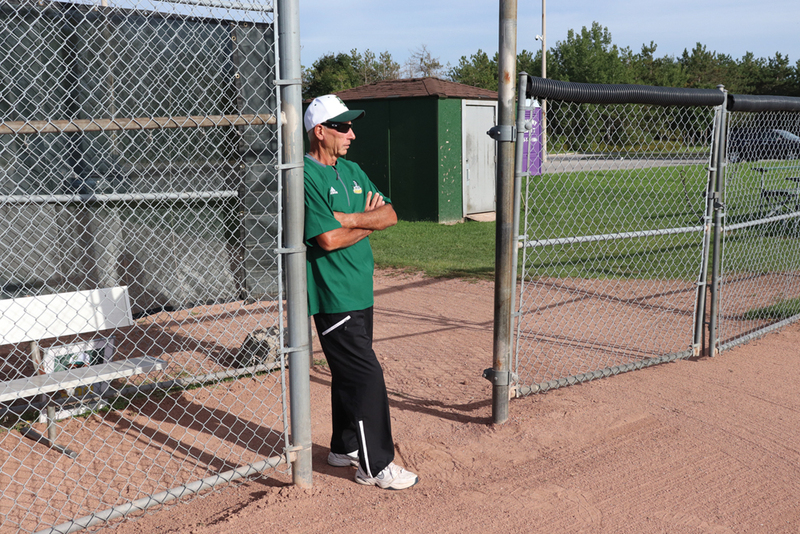 Outside of coaching, Nemish also works for Canada Post and used to golf, but after a couple of shoulder surgeries, he puts his focus on keeping the softball program going strong instead of on the links. He spends his summers recruiting. He says that he can’t miss a weekend because if he does, he could miss a player that could benefit the team. However, despite all of his work with the team, Nemish says that what he is most proud of is his daughter, Jacquelyn. Speaking with pride, Nemish says that his daughter has graduated from university and has a full time job. Having grown up around the team, she still comes to the games and helps out. “Whether it’s bringing the coaches coffee or helping out with a barbecue, she’s been very good for me,” Nemish says. After getting his 500th win, the next goal for Nemish is simple: he wants his team to clean up their play and achieve at a higher level.